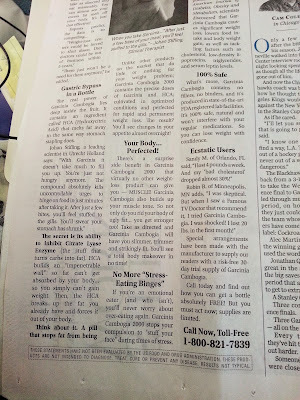 Weighty Matters: Shouldn't Newspapers be Ethically (or Legally) Bound Not To Sell Ads Like These? 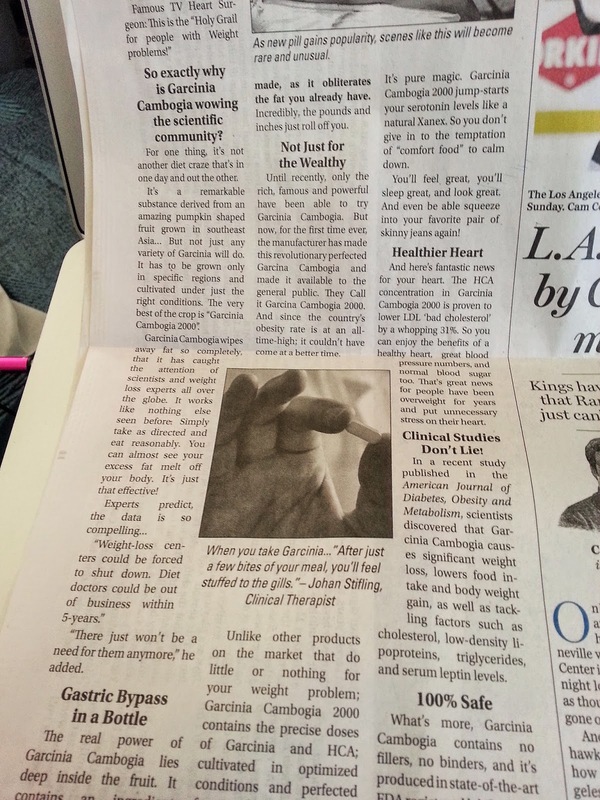 Shouldn't Newspapers be Ethically (or Legally) Bound Not To Sell Ads Like These? This advertisement (continued below) wasn't published in a tabloid. 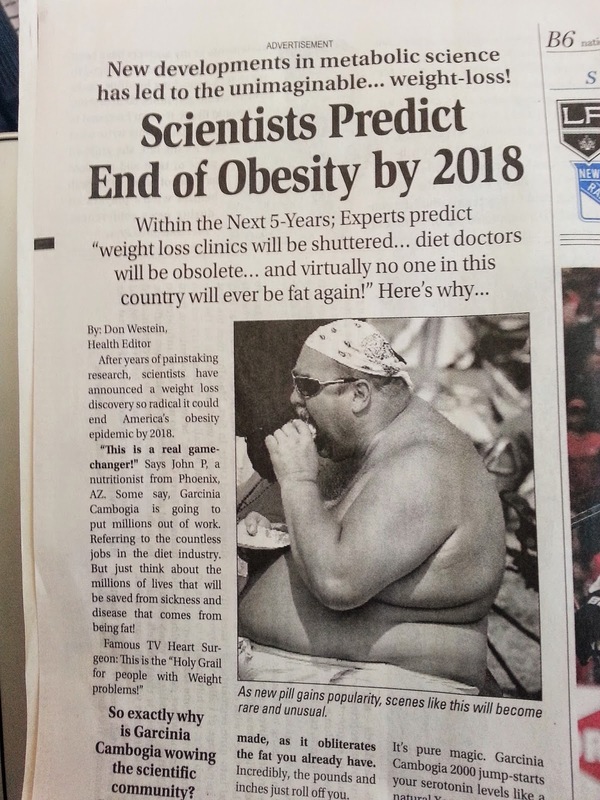 Nope, it appeared coast-to-coast in Canada's Postmedia newspapers late last week. And I'm honestly curious, shouldn't there be a law, or at the very least a corporate policy, that would preclude the printing of this sort of predatory nonsense? (For a review of the efficacy of Garcinia cambogia, here's a recent meta-analysis).